This level has medium difficulty. 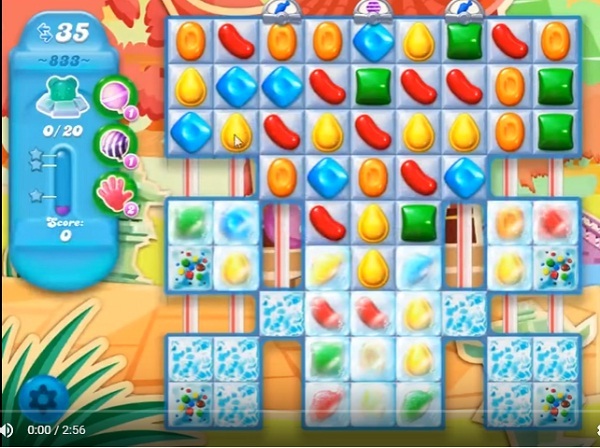 For this level try to play more from top part of the board where more special candies are available to play and make special candy as you get the chance. Or play with remaining snow candy to break them all. Need help on this level cannot save the 4 bears down in the bottom corners can you help me please? Just passed this level and my laptop shut down, when it came back on I was started on level 1, how do I get my progress back.